Energizer launched a video campaign asking families across the country to post a video of their child explaining the mischief they can get into when the toys that keep them occupied run out of battery power – www.energizer.com/recharge. The first 250 to enter will receive a brand NEW Energizer Smart Charger. Ten video finalists will be chosen and then they will pick a charity of their choice to have a portion of $10,000 that Energizer will be donating to the charities. The more views the finalist’s video gets, the bigger the percentage of the donation the finalist’s charity will receive. I would have loved to enter but the two year old can only say so much. He is best at getting into mischief in any way he can! *Be sure to have a visible email address in your comment if you do not have a Blogger profile. Giveaway is open to US residents only. Deadline to enter is May 17, 2010 at 09:00 pm EST. Good luck! 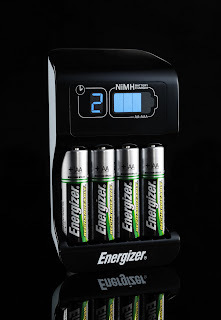 Disclosure: Energizer have provided me with one free Smart Charger (including one charger and 4 AA rechargeable batteries valued at $19.99) to review and keep as a thank you for spreading the word about this fun campaign. I would use these batteries in my son's graphing calculator and lots of the toys that my kids have! These would be awesome for my kids starry nightlights!!! Turning those on once a night, for 45 minutes really drains batteries fast. You know I follow you everywhere! That's a great idea. I think my kids really want to see how long the batteries last. They let them run until I turn them off. 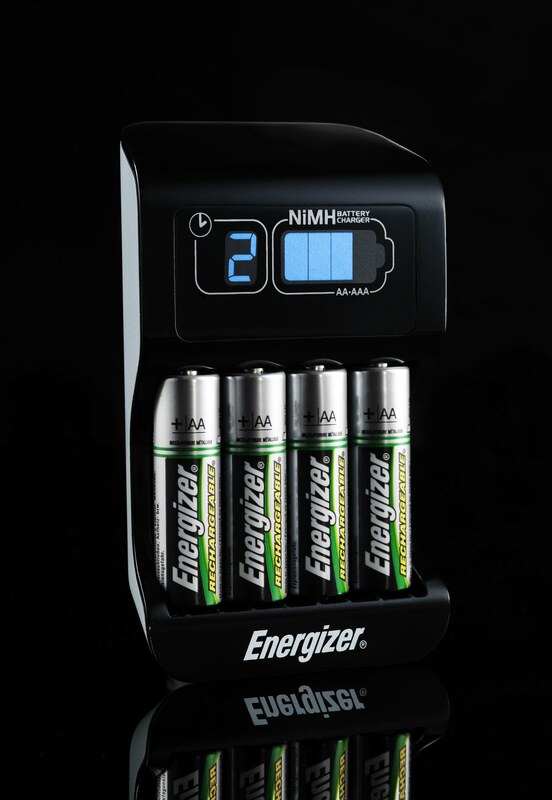 The Energizer Smart Charger features "Slow charge rate to prevent damage to battery during charging and extends number of life cycles." *Thanks* for the giveaway! I would use them in my portable CD player and my nieces toys. I'd use these in our Wii remotes! These would be great for our Wii Remotes!!! Our wiimotes eat batteries like crazy!! I would definately use this.Thanks for the chance. I learned that the rechargable batteries retain more charge at 12 months and can be recharged up to 250 more times! I SO need this because every time I reach for a flashlight... because my batteries are always dead! I would use these batteries in my mouse the most. It uses 2 AA batteries, and I always forget to turn it off so they die quickly. I have a cordless mouse that uses these kinds of batteries. I NEED THIS! I learned that these batteries have Leak resistant construction. I would INSIST that my husband and son use rechargeable batteries in the GPS they use to go geocaching with. Aside from how wasteful they're being, they leave the dead batteries EVERYWHERE!! I would use these rechargeable batteries in our Wii! I would use them in my digital camera the most! Thanks! With a new grandbaby we take a lot of pictures. No matter how much I love my digital camera, I hate the way it burns up the batteries. I could use these to keep my digital camera running. I would use these batteries in my digital camera, my remote controls, and in my wii balance board. I like that the batteries can be charged 250 more times. flashlights but maybe I could replace my rechargeable solar light batteries. I always have to recharge batteries due to cameras and gaming controllers.. at least a few times a week! I would use the batteries in my wii remotes. I would use these rechargable batteries in some of the kids toys. They go through so many batteries! I have a GermGuardian wand, and the rechargeable batteries would be great for it! Actually they'd go great for my phone answering machine too! the batteries are great for many things, being able to recharge them is great for the environment and I would use them for my daughters toys! I would use the batteries in my digital camera.I take lots of pictures of my 4 kids and go through some batteries.Thanks! My son just got a digital camera that uses AA batteries and I would love to use rechargeables in that! I would like to use rechargeable batteries in my digital camera. Thanks for the giveaway...I would use the batteries to power one of the many "remotes" we have littering our home !!! I would most use these batteries in my remote control.